The announcements are generated by LinkedIn and typically followed by a predictable handful of likes, congratulatory words, and positive sentiments. I’m yet to see a comment that generally reflects my knee-jerk reaction to at least some of these posts. The formula for career stagnation is pretty simple. When one’s basic needs are met or even exceeded, they stay put. When provided with fair compensation, a tolerable work environment, and a comfortable chair, many technologists go about their work without finding the need to pay much attention to trends in the industry that don’t affect them. In an industry that changes rapidly, the result is marketability problems. For some in our field, new challenges, learning, and change are basic needs. Even if these types are paid well and given other perks, they will be likely to investigate trends and possibly seek new employers. Their natural curiosity protects them from stagnation. 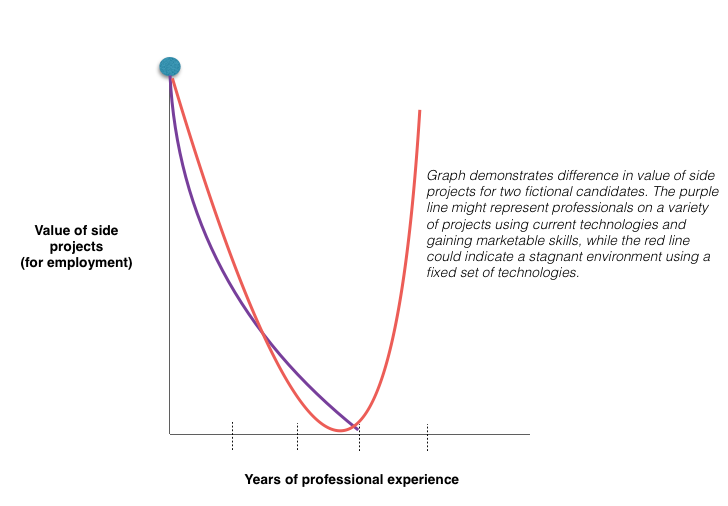 Managers hire technologists who possess the skills needed to perform jobs at their company, even if those skills are not in high demand on the overall job market. Those working for companies staying current with new tools and offering multiple challenging projects have no reason to fear the negative impact stagnation has on marketability. For those working in static environments with little change and a dependence on less popular or proprietary technologies, the burden of maintaining marketability is their own. The biggest problem with stagnation is that technologists don’t realize it’s even an issue until it’s too late to remedy. Thankfully, there are ways to identify and treat this common problem. Diagnose – Set a reminder on your calendar to update your résumé and/or LinkedIn profile every six months. Are you able to add any projects or skills to your résumé? Are there any skills on your résumé that you no longer feel comfortable including for fear of being exposed as a fraud? How many six month periods have passed since you have been able to mark a significant accomplishment? Test – Send your résumé to a past co-worker – ideally someone who has been on the job market a bit – or a recruiter you trust, and ask if your current skills would get you interviewed. Make it clear that you aren’t actively seeking employment, but now are just interested in an assessment. Read and get out – Much of stagnation is related to technologists being insulated professionally and not paying attention to trends outside their offices. Reading technology blogs or article aggregators for as little as an hour per week will give you an idea if you are building marketable skills. Having any involvement with others in the industry that are not co-workers is perhaps the most valuable method of prevention. Some office environments may fall prey to groupthink and hive mind tendencies, so communication of any kind with the outside world is useful. If you aren’t getting it at work, get it at home – If your employer doesn’t provide you with the ability to work on challenging projects and relevant technologies, side projects are one solution if you have the time. Employers today tend to appreciate self-taught skills and impressive independent development efforts as much as on-the-job experience. Leave – Leaving your job doesn’t need to be the first solution to career stagnation, but for many it’s the most effective. When evaluating new employers, consider whether stagnation and marketability issues may arise again in the near future. Marketability is a complex concept that depends upon several independent factors that are difficult to predict. Stagnation is easier to diagnose than it is to treat. Early detection is the key. 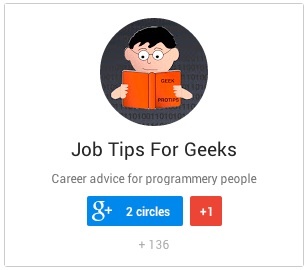 At some point in a career, many will be in a position to decide between multiple job offers from different companies – or at worst having to decide between accepting a new job or staying put. When starting to compare offers, it is common for the recipient to focus on the known quantities (i.e. salary, bonus, etc.) and perhaps a couple additional details that are generally considered more subjective (work environment, technologies). In order to make a truly wise choice it is also useful to include less obvious factors as well as future considerations, as those generally will have a much stronger influence on career earnings and success. These are harder to predict, but must enter into your decision unless your sole objective is to meet some immediate short-term need. Cash compensation (salary, bonus, sign-on) – If the bonus is listed as guaranteed, the figure can be lumped into salary. Most bonuses are not guaranteed, but rather are tied to personal and/or company goals being met. Some firms or individual employees are willing to provide data on bonus history. Sign-ons are used to sweeten an offer or to rectify a potential cost the new hire would incur by leaving their job, such as an unpaid bonus. Healthcare premiums and contributions – Offer letters typically do not list employee out-of-pocket insurance cost, and personal circumstances may weigh heavily on how one values health insurance. Employer contribution can vary from 50-100% while other companies offer employee-only contribution (no contribution towards spouse/partner/child), which can result in a total compensation difference of a few percent. 401k or retirement plans – Employee match and contribution to these plans can be significant. Consider both the dollar amounts and the vesting schedules. Education reimbursement – If considering a return to school this policy could make a difference. Paid time off – Although the real value any employee places on time off will vary, the dollar value of each day of PTO can be estimated using a formula. Many candidates make the mistake of basing their decisions with too much weight placed on base salary. This may be attributed to our emotional attachment to numbers and compensation “milestones” (usually round numbers), the perception of status that results from salary, and the inability of candidates to accurately gather and calculate the details of a comprehensive package. A friend might tell you about her 100K salary, but how often do you hear someone independently offer up that they pay 10K per year for health insurance and only get one week of vacation? The details above are all easily obtained, quantified, and require no interpretation. Everything from this point on will require a bit of investigation as well as some educated guessing. Expected hours – To put a value on time for offer comparison, a quick calculation to convert salary into dollars per hour can be a telling figure. All else being equal, that 80K offer with a 40 hour work week is more per hour than the 100K offer at 55 hours. Estimates of work hours may not be accurate, so multiple data sources can help. Commute time/cost and possibility for remote work – Distance may not be a reliable predictor of commute time or cost, and mundane details such as gas efficiency will quickly add up when you consider the trip is repeated 400+ times a year. Mass transit inefficiencies and delays have a cost to commuters as well. The ability to work remotely, even for one or two days a week, makes some difference. Travel – This can be viewed as a positive or a negative depending on the worker. Consider any hidden expenses that may not be reimbursed, such as child or pet care costs. Perks – Company provided phone or internet, gym membership, and office meals/snacks are not things job seekers expect, yet could provide thousands of dollars in value. Self-improvement budget – Some companies may be willing to foot the bill for training or conferences that the employee would have paid for anyway. The most vital characteristics contributing to a job’s long-term value are often hidden and unsupported by reliable data. Establishing the present day value of any one job is somewhat complex, and trying to forecast future values requires speculation. Future marketability – This is a key factor in career compensation, yet is often overlooked when the temptation of short-term gains are presented. The consideration of future marketability is most critical for new grads or junior level employees, who are (unfortunately) often in debt and easily influenced by short-term gains and cash compensation. What skills will be obtained in a job, and to what extent will these new skills increase market value? Will having a company’s name on a résumé (whether by associated prestige or number of direct competitors) create some additional demand for services? If a goal is to maximize lifetime earnings, one could theorize that a year of unpaid work at a place like Google or Facebook is preferable to two years of paid work at many other companies. Promotions and raises – Job offers only include starting salary/title. How, and how often, does a company evaluate employees for salary increases, and what amounts might be expected for performers? Do they tend to promote from within or hire from outside? 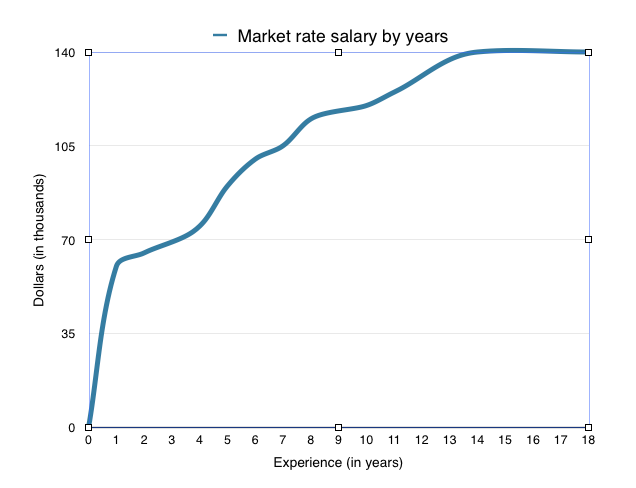 Is there a career path and is there a point where compensation plateaus? Stress and satisfaction – It’s impossible to place a hard value on work stress or job satisfaction, and the amount of either is difficult to predict. Satisfaction, work/life balance, and stress can impact both health and productivity, which could also contribute to marketability. Stock/stock options – The number of factors that influence the potential value is too long to list. Vesting schedules may have substantial impact on perceived value if a long tenure isn’t expected. Environment, team, management – Companies try to make a strong positive impression during interviews, but that image doesn’t always accurately reflect day-to-day operations. Younger workers should place considerable weight on whether there are team members to learn from and mentors who are both available and willing to guide. Employees with long tenures will have insight, though the opinion of more recent hires may be more relevant to anyone considering an offer. Job change decisions are complex, and tough choices usually end up coming from the gut. The immediate results of a choice are easily identified and quantified, but the more important long-term ramifications require research, interpretation, and a bit of conjecture. When combining all of the smaller elements of a compensation package, the highest salary will not always be the most lucrative offer.